A law which recognizes gay and lesbian couples with marriage is set to take effect in Uruguay on August 1. The Uruguay parliament gave its final approval to the measure last month. On Friday, President Jose Mujica, whose ruling Broad Front majority backed the proposal, and Ricardo Ehrlich, the nation's minister of education and culture, promulgated the law with their signatures, Montevideo daily El Pais reported. The “Marriage Equality Law” modifies some 20 articles of Uruguay's Civil Code, including whose surname goes first when children are named. 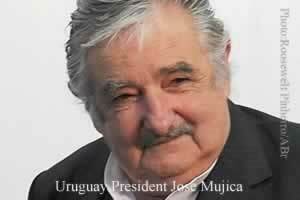 Uruguay joins 13 nations which have approved such unions. In South America, only Argentina has extended marriage to gay couples. But inroads are being made in several other countries, including Mexico and Brazil. Last month, lawmakers in Colombia rejected a similar proposal.